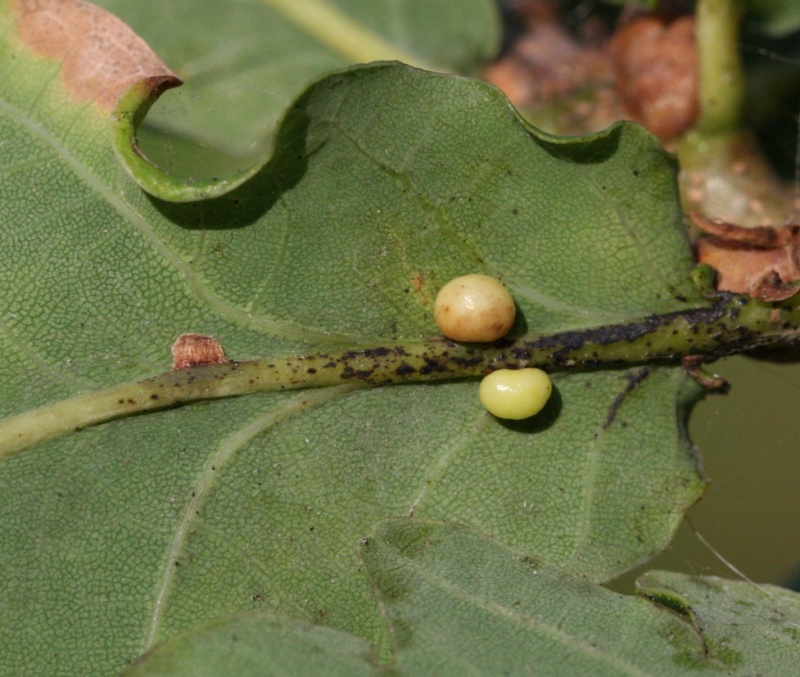 Cynips divisa is a Cynipid gall wasp that causes Pea Galls to form on Pendunculate and Sessile Oak. 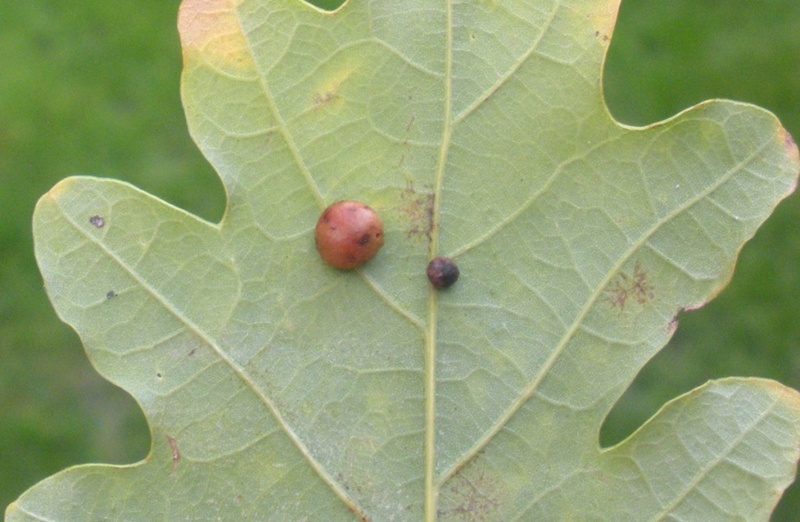 A Red Wart Gall is the sexual generation gall and can be found in axillary or terminal buds on the twig, and leaf, it is inconspicuous so less often seen. The gall of the agamic generation is the Red Pea Gall and this is common on the underside of the Oak leaves. 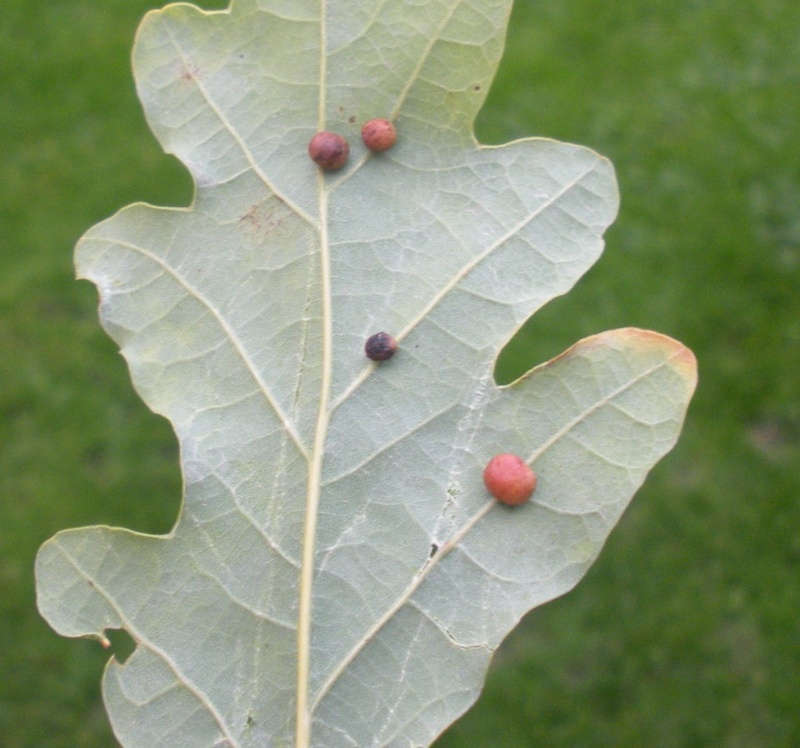 These galls are more likely to be seen than the adult wasps. It appears to be uncommon in Leicestershire and Rutland but is probably under recorde.